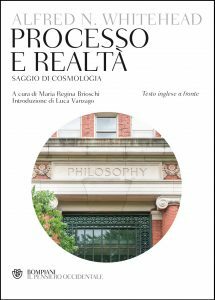 The new Italian translation of Process and Reality is finally out! Translated by Maria Regina Brioschi, University of Milan-Italy), with an Introduction by Luca Vanzago (University of Pavia). Read more at www.bompiani.it.